By the bonnie, bonnie banks o` Loch Lomond. Today we're driving through the Loch Lomond & The Trossachs National Park (Pairc Naiseanta Loch Laomainn is nan Troisichean). 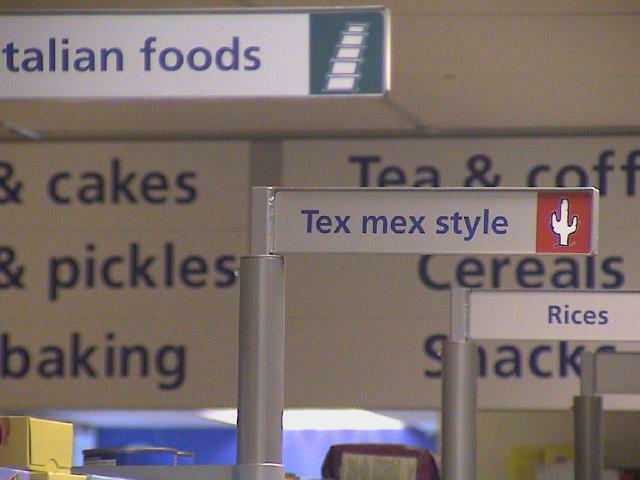 There's something profound about a Scottish store having a Tex Mex section, but I was too taken aback to write it down. 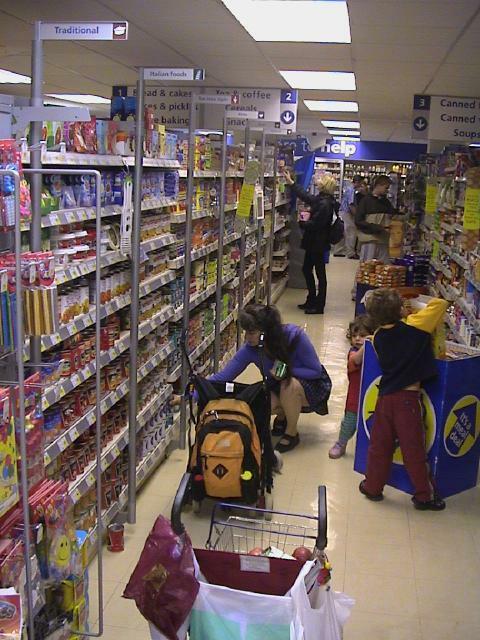 Having purchased our snacks, and nibbling on them in the car, we head away from town in favor of the greenery. Here's another nice, quiet place at which we stopped. Unfortunately I took no still pictures of the piper we met around here. I have some video, which I'll try to convert someday. Now it's time to head over to Doune Castle.